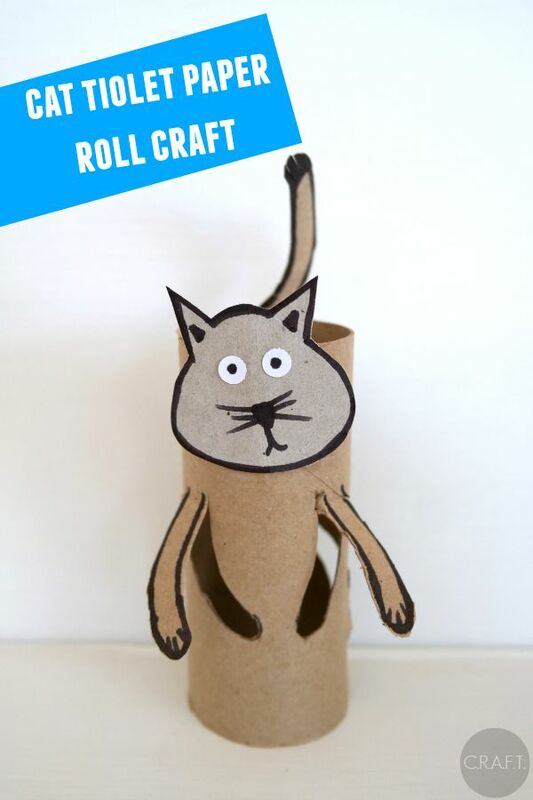 Cat: Toilet paper roll crafts - C.R.A.F.T. Happy Monday, friends! I’m actually sticking to a schedule around here… whahoo! (Every Monday, Wednesday, and Friday you’ll find the latest toilet paper roll animal.) Today we are on the letter “C”. And C is for cat! We’ve been putting the toilet paper tube cat in cars, on top of cars, and the poor cat even went under a car a few times! Maxwell can say cat now and even meow when you ask him “What does a cat say?”! I am so amazed at how fast his words are coming. I had no idea it all happened in a week. I mean seriously, the kid could only say 3 words 2 weeks ago, and now he is repeating everything I say: hot, eyes, bye bye, cat, dog, Gigi (the name of the dog we dog sat last weekend)! 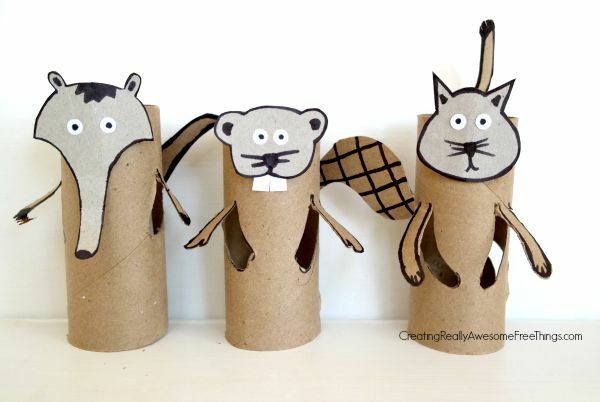 The cat toilet paper tube craft is very similar to the anteater and the beaver, just a slightly different shaped head, arms, and tail! The cat’s head is more of a rounded triangle with 2 pointy ears. Here are the first 3 toilet paper tube animal creatures all lined up together! And here are complete tutorials for the Anteater and the Beaver. My one big tip, is use a black marker to draw on the arms and just be sure not to cut them all the way out. You want the arms and tail to stay attached to the toilet paper tube. 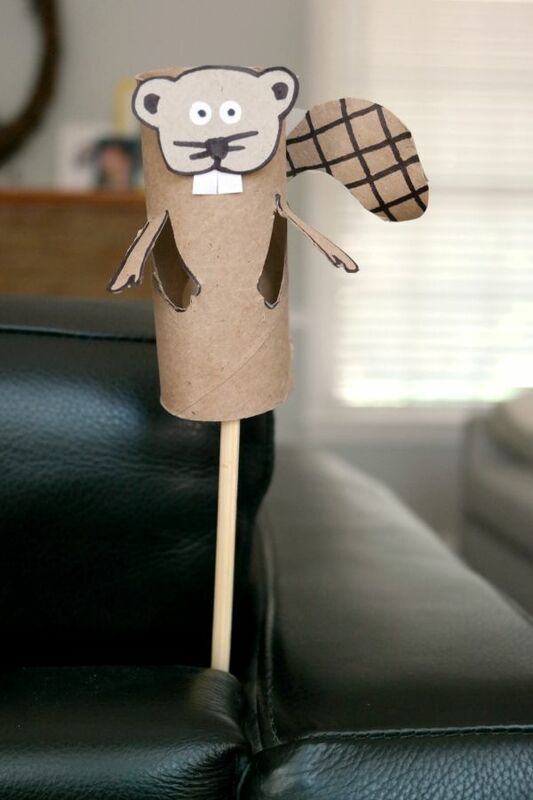 Here’s another fun thing to do with your toilet paper tube creatures, make them into puppets! You can use any stick you have on hand: Chop stick, Popsicle stick, Nature stick, Paint Stir Stick, Ruler, you get my drift! And then, either hot glue or tape the stick to the inside of the toilet paper tube. Voila, kids are ready for a puppet show! And now for a few fun, kid friendly cat facts! Baby cats are called kittens. A group of cats is called a clowder, who knew?! Cats have really awesome night vision. Cats spend a lot of time licking their coats to keep themselves clean! Cats sleep 13-14 hours a day! Lucky! D is _____?! The suspense is killing ya, huh? Come back Wednesday for the big reveal, ha! I actually think these guys would be so fun to play with afterward! Great idea!